LPL Financial Advisor Greg Teschke is committed to helping you pursue your financial objectives. As your goals change over time, Greg will actively monitor your investments and work closely with you to formulate an individualized roadmap to help you invest, diversify your holdings and pursue your plans for the future. 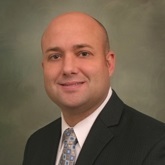 Serving Lafayette and Covington, Greg has 20 years of experience, including six years with Old National Investments, and received a bachelor’s degree in Financial Management from DePaul University in Chicago. He is actively involved in the community, especially as a youth coach for both baseball and football.